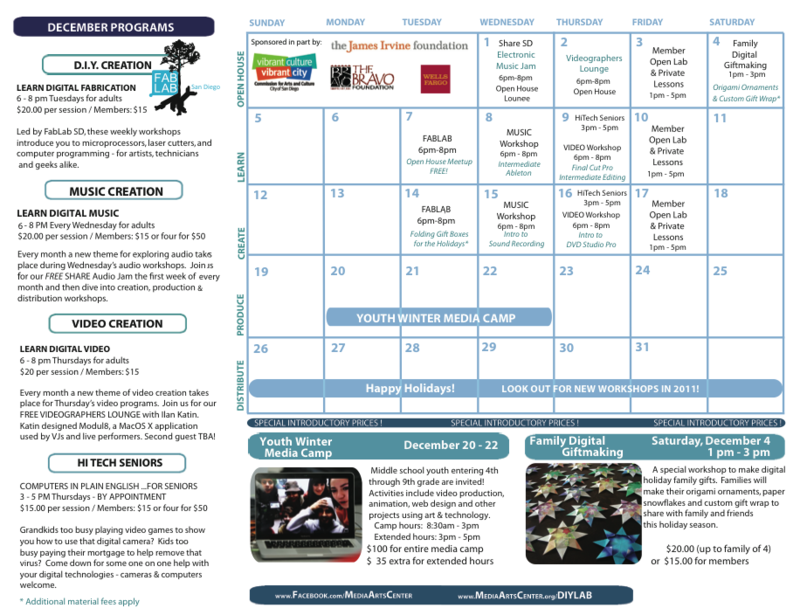 January 2011 is equipped with brand new programming, and February boasts even more programming with new and dedicated volunteers. It's painfully obvious that I grew up in the south when I get excited over 1/2" of snow (mind yer snickering, Boston-folk), but I should also add that our lab closes when schools close. That means I have at least one day of peace and quiet. Ahhhhh.... Well, apart from the racket caused by the construction next door anyway. Life at C4K is chugging along nicely. Our recruiting has been up and down (12 last month, but only 4 this month), but the ups seem to have been enough as the lab feels more full than when the year first started. Workshop attendance is still relatively low (3-4 on average), but those that do go seem to enjoy it. I've also started gravitating towards guided activities versus class settings. 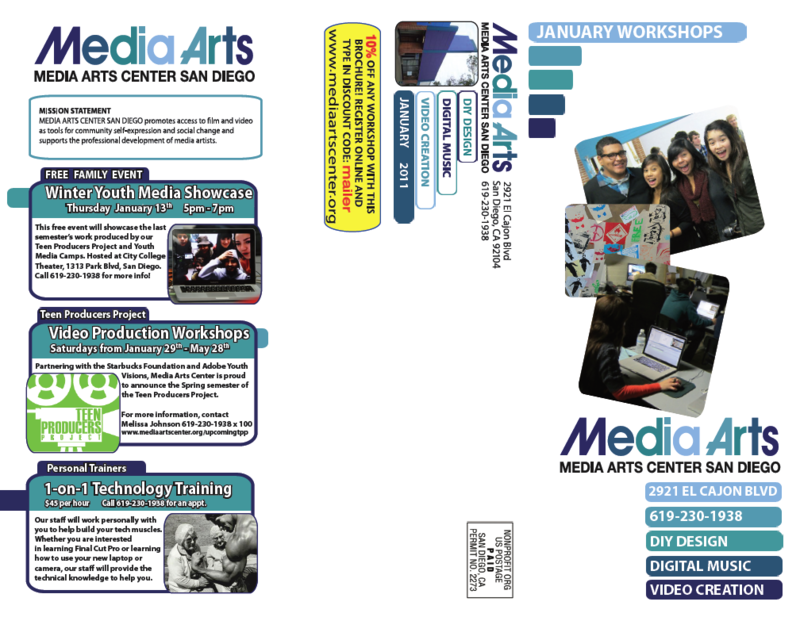 The more successful workshops have been things like making popup cards, CD art, posters, etc. I've been trying workshops that lead into the tougher topics like digital video and audio with things like dubbing and digital storytelling, but we're still having a tough time getting kids to try them. 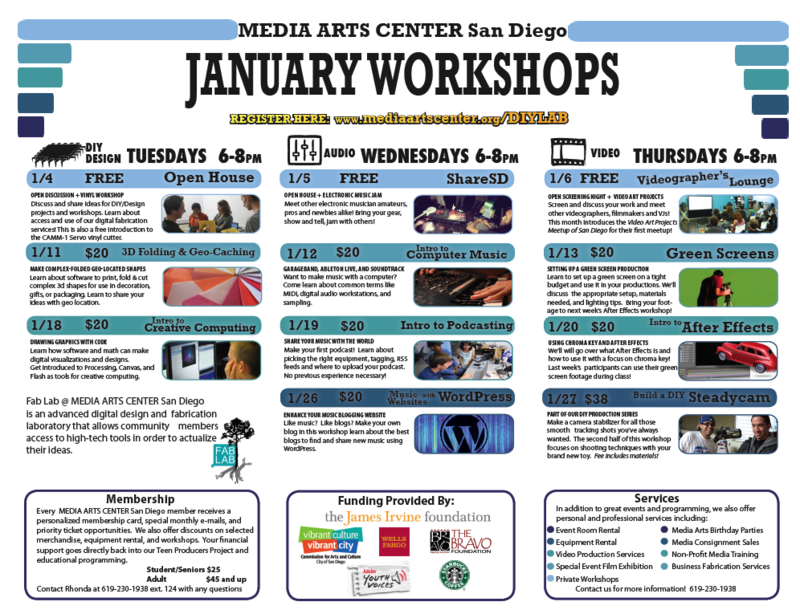 what are your guided activities like for your workshops? And are they contained within one workshop day or over a course of time? I'm working on our youth media lab here in Cincinnati and looking for ideas to for weekly, self-contained activities. Do you have anything written up? I have two activities so far, I'ld be happy to share them too. And great ingenuity with the barcode system! If there's any in particular that you're interested in let me know and I'll look to getting those written up.